It’s time to join to a new team and PACE Industries has a spot waiting for you! 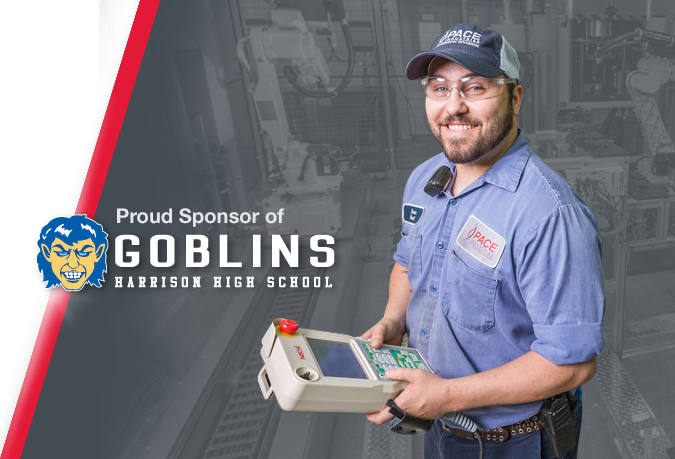 Pace Industries welcomes all Harrison Goblins students, alumni and fans to visit our available careers page to view open positions. JOIN THE PACE INDUSTRIES TEAM! At Pace, we value our team. We employ hard working people with diverse talents and we help them continue to grow and encourage them to develop their strengths. We’re looking for people with a hunger and drive for success, who aren’t afraid to be the hardest workers in the room.